Let's never forget those who made the ultimate sacrifice whilst wearing one of these badges. You must written permission from us, to download, reproduce or use in anyway, whatsoever, any images (partially or wholly) and/or text from this web site. Australia's Virtual Police Badge Museum. MUSEUMS AUSTRALIA, a partner of ICOM. ICOM is the International Council of Museums, Paris. 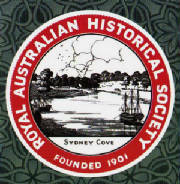 The Western Australia Police Historical Society, Inc.
By clicking your mouse, touching a screen or doing anything in order to enter or view the "Ozbadge" web site/s and/or your use and/or purchase of any Ozbadge product (including image/s or information) you Agree that any of this/these action/s constitute/s your total acknowledgement, full understanding, Total Agreement, full accountability and total compliance of and/or for and/or to, ALL of our * Disclaimers and Terms and Conditions of Use; whatsoever. This is NOT an OFFICIAL Police site of any kind. Ozbadge.com is a virtual, online, public museum. It is educational web site; an exhibit of a collection of images and comment for general public interest, news, historical reference, art, design, research, study, information, educational purposes, opinion and entertainment and it and its owner/s are in no way associated with, affiliated with, connected with, sponsored by, employed by or endorsed by any Police or Law Enforcement Department or Agency; particularly those that are referred to on this site. Except by law. 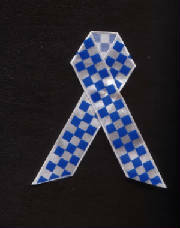 Ozbadge © is a Police Supporter and Chartible Contributor. Ozbadge.com and it's owners, contributors and administrators can not, do not and will not guarantee the accuracy of ANY information contained on this web site. This site is made available to you on an "AS IS" basis and on the condition/s that we do not accept ANY liability for ANY information or comment contained in or on this web site, or linked to by this site. The information, opinions and comment expressed on this site are personal opinions only and are stated on a "to the best of our knowledge at that time" basis and should ONLY be regarded as such; particularly with regards to dates, rarity and values. Information and comment on this site is provided WITHOUT ANY WARRANTY of any kind whatsoever. The user of this site assumes the full and entire risk and responsibility as to the accuracy and the use of this document. History is full of inaccuracies, so is this site, so please email us with any additional information or corrections to any inaccuracies you may discover and/or updates and we will endeavour to correct them. Please also remember badges and accoutrements are not legal warrants and do not convey any legal authority whatsoever, and that some images on this site may not be taken from actual items. All of the "images" on this site, it is believed, are simply facsimilies of obsolete items, which have public historical value only. Just because a badge, accoutrement, uniform or part thereof is on this site, does not mean anyone physically owns it or possesses it. Many images have been computer generated, totally created, manipulated or enhanced from reference. Others have been donated, some anonymously, by collectors or obtained from museums from around the world; including the Australian National Archives and Australian War Memorial. The numbers on all the badges are fictitious. 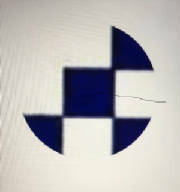 Some of the badge designs displayed on this web site may be subject to the Copyright laws of the Australian Government and/or their respective State Governments and/or agencies or others; including Ozbadge. The Australian Coat of Arms is © Copyright: Commonwealth of Australia. The "Queen's Crown" or "Saint Edward's Crown" is displayed on insignia strictly by, Royal Warrant of HRH Queen Elizabeth II, of the United Kingdom: The Royal Household © Copyright..
Also, please check your local laws to determine whether it is legal for you to collect or possess Police type insignia, if you do, as heavy penalties may apply. It is illegal in many countries and states around the world, for anyone, including Police officers, to collect or possess any "Police" type insignia, without official authorisation. it is a SERIOUS OFFENCE TO IMPERSONATE A POLICE OFFICER, FEDERAL AGENT or LAW ENFORCEMENT OFFICER. None of the contributors to the site, named or otherwise, have any responsibility or liability for the site or any say in its content; whatsoever. NOTHING is for sale, trade or barter from this web site, so please do not even ask. Any and all product/s and or item/s made by and/or provided by OZBADGE to anyone whatseover are created, made and provided purely and strictly as artistic representations for collectible framed displays as art pieces and novelties only and may or may not be, in any way, factually and/or historically correct. If you aquire any item created or supplied by Ozbadge, anywhere, you also agree, in totality, not to use the item for any unauthorised or illegal purposes whatsoever and you further agree to indemnify and hold harmless "Ozbadge" for any such actions by you and/or others. Please check your local laws. Ozbadge, its owners, or any such employees, suppliers, users, and/or its contributors are not liable to you or for you or anyone else or for any "loss" in connection with any use of this website and/or our products, or associated web sites or others linked or hyperlinked to or from this website. The term "loss" as used here, includes any loss or damage/s whatsoever; including, but not limited to, monetary loss, personal injury or death, however caused (including through negligence), which may have directly or indirectly been caused or suffered, and/or any consequences that may arise at any time and for any reason whatsoever. Ozbadge reserves the right not to provide an item, however offered, to anyone; for any reason. If you do not understand or do not agree to ALL of our disclaimers and ALL of the terms and conditions of use in totality, please leave the site now, otherwise please proceed and enjoy. Your use of the "Ozbadge" web site/s and/or/use/or purchase of any Ozbadge product/s constitutes your total acknowledgement, full understanding and total agreement to all of the disclaimers and all of the (our) terms and conditions of use. Thank you for visiting Ozbadge.com; Australia's virtual Police badge museum. The Commonwealth of Australia Freedom of Information Act 1982. The National Conservation and Preservation Policy for Movable Cultural Heritage © Commonwealth of Australia 1995. New South Wales Police Act 1990; as amended, Section 203 (5) (6). The Enhanced US Federal Security Act of 2000, Chapter 33, Title 18, Section 3, Sub-section 716(b); also known as US Public Law 106-547. Michigan State Compiled Laws; Section 750.216a; where applicable, and protected by the US Bill of Rights: Article the third [1st Amendment]. © Copyright: 2004-2019. Ozbadge and Ozbadge.com. All rights reserved. You must have permission to reproduce anything from or to link to this web site. 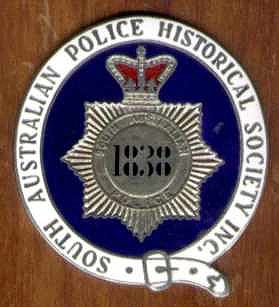 The South Australian Police Historical Society Inc. The Northern Territory Police Museum and Historical Society, Inc.
Ozbadge.com and Ozbadge.com.au 2004-2018. All rights reserved. Oz Badge and its owners are proudly Australian.